Work for SolidWorks Flow Simulation? Learning about SolidWorks Flow Simulation? "Good for basic simulations and general understanding"
Solidworks has a simple CFD add-in for doing flow simulations. It is quick to learn and less complicated than many other CFD softwares. It is good for getting a general idea of fluids behavior before diving into a deeper simulation with another software so that you don't have to spent time preparing the model if it isn't headed in the right direction in the first place. It can be difficult to get the software to accept a model geometry. It has trouble recognizing what areas in a model to use for computations if there are complex geometries, open areas, or cavities. It also gives errors without enough explanation as to problem areas in the models. It can be difficult to find where things need to be changed or what an error is really addressing. For more complicated parts, unfortunately you will probably be better of using a more complicated software. We have used Flow Simulation to get a preliminary understanding of the effectiveness of aerodynamics parts for a race vehicle. "Solid Works is Solid Software!" This has to be one of the most Innovative software packages I have ever used. If you need to demonstrate liquid flow in any type of online example you need to use the software. I needed something to simulate chemical flow and I would have never guest it would be so easy. The interface is a little overwhelming but once you get used to it it's fine. Get ready to learn the interface! We realized we could do chemical simulation without having to pay thousands of dollars. "Easy to use - CFD package"
The results are not very accurate compared to other CAE packages like ANSYS Fluent. Meshing is also not very good. The results from Solidworks flow can be used as a first estimate for any design. Use it only if you want a rough evaluation of how your design and to get visuals for a presentation. For more complete analysis i recommend other CAE packages like Fluent. "Amazing software for simulation of the aerodynamics of a prototype"
What I love about Solidworks flow simulation software, is that you can actually understand how is your design functioning, and work around it. We use it to build our car prototype for our university’s Supermileage group, and we could build the most competitive and efficient car prototype using the tools from the simulation and made it a dream come true! It is very easy to set up flow simulations and it takes less time to run. It is very useful to approximate flow properties and visualize the general fluid flow in and around 3d components. Accuracy is not as good as dedicated cfd solvers. Has troubles with highly turbulent flows and with flow separation problems. Fluid flow in and around luminaries and light poles. The major benefit is the ease of use as it can be used in conjunction with other Solidworks design modules. The solving times are short compared to other cfd tools I have used. This software provides accurate and precise flow of gas and liquid. Using this we can compute the forces, pressure and stresses exerted on the body by the flow. Its user interface is simple and easy to use. The best part is the flow around the 3-D model is just like the real motion. The price is a bit high. It should be a little bit cheaper inorder to acquire more users. Also sometimes results are unrealistic and contains error. Also simulation takes long time to complete. This software is really easy to use and really helpful. I am using this software to develop safe buildings, due to known motions of fluids I can position my structure in a way that the force and pressure exerted on the structure is minimised. "Poor accuracy in results, little control over mesh "
SW FS has given very strange results. Higher camber airfoils have shown to generate less downforce. SW FS also offers little control over mesh generation and options like spinning wheels/moving roads for automotive purposes lead to bad results. SW FS allows ease of use and application for CFD simulations. SW FS is good enough for low level fluid studies where accurate results arent as important. "Great product for solid products simulation !" Solid works has possibly the most intuitive UI in the 3D CAD market. 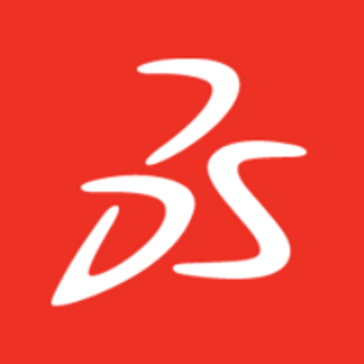 Dassault System has published a great product for solid products design simulation which helps in understanding the design and process flow of different products. It's a computer aided design , modeling software for designing parts and models and total system. It has some unique and simple commands that are very helpful for designing compare to other software. SolidWorks simulation is mostly not preferred in automobile and aviation industry as it lacks in some of the functionalities and also we cannot simulate large projects using solidworks. Solidworks flow simulation helps in finding out the flaws or defects in the products. I cant say enough about how much this product has helped our company and every other company I have worked for. SolidWorks is the top of the line and without it we couldnt get any of our highly important projects done. "Simulación de esfuerzos en equipos robotizados"
La facilidad con la que con un modelo ya generado se adapta para iniciar las simulaciones de elementos finitos. "Good for variety of applications"
I like that the flow simulation accommodates a wide variety of flows, and allows a plethora of variables to be calculated. Some simulations take a long, long time. Allows us to predict how an object will “wear and tear” in real world conditions. "It is very user friendly "
The contraints are pretty easy to apply as compared to software like Ansys. * We monitor all SolidWorks Flow Simulation reviews to prevent fraudulent reviews and keep review quality high. We do not post reviews by company employees or direct competitors. Validated reviews require the user to submit a screenshot of the product containing their user ID, in order to verify a user is an actual user of the product. Hi there! Are you looking to implement a solution like SolidWorks Flow Simulation?